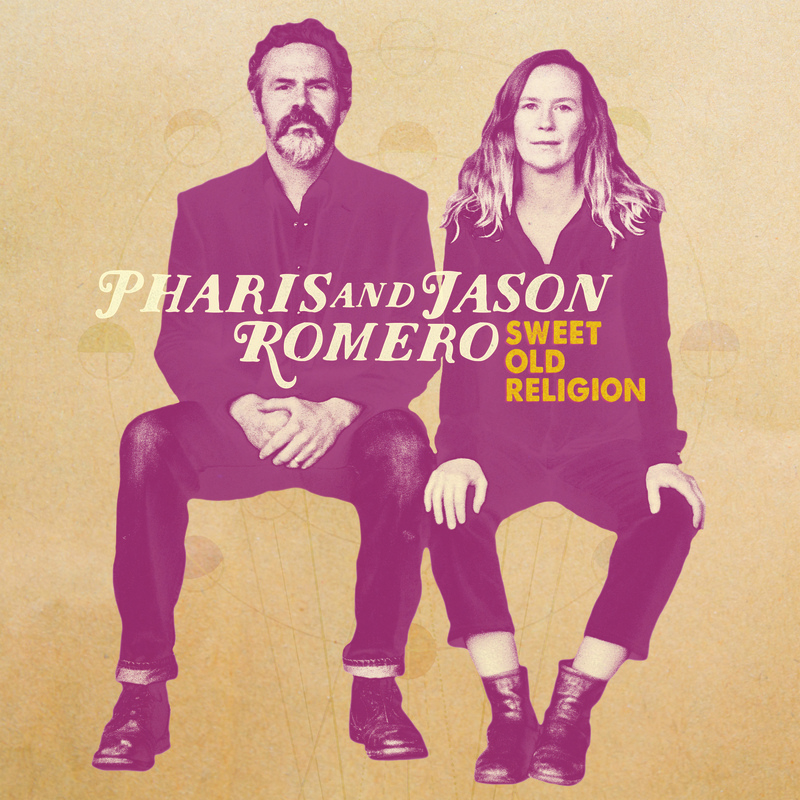 With their new album, Sweet Old Religion, Pharis & Jason Romero return, literally, from the ashes. Since the release of their last album, the JUNO Award winning A Wanderer I’ll Stay, the musicians and celebrated instrument makers at J. Romero Banjo Co. had taken a year-long sabbatical from touring and recording to welcome their second child, build some banjos, and tear down their house in Horsefly, BC, to build a new one with the help of their local and extended community. But, as they worked to build their new home a fire came in the night to claim their workshop. The Romeros found themselves surrounded by the community that came to support them. “I think being ‘pushed to the edge’ is a perfect way of of describing how that summer felt. The day after the fire, support just started pouring in,” says Pharis. “It was overwhelming, this sense of receiving when we had absolutely nothing to give other than love and thanks.” And in the midst of the chaos of building and rebuilding, taking care of children, and feeding everyone, Pharis says, “music and songwriting were hovering at the edge but never came inside. There was no space to just sit and be and let thoughts, melodies, and ideas ferment.” These experiences and the growing sense of gratitude would soon be connected and drawn together through music, becoming Sweet Old Religion, Pharis & Jason’s first album made up of entirely original songs. Having been together for a decade, making music together, working together, and parenting together, the Romeros are at their strongest and most free on Sweet Old Religion. “Our lives have become so intertwined, even our phrasing and vocal cadences match like family,” says Pharis. In keeping with their handcrafted and homemade family business disposition, Pharis and Jason sought to make as much of the album live in their home as possible. Turning one side of their reconstructed instrument shop into a studio, they recorded with engineer John Raham and producer Marc Jenkins. The album also features Patrick Metzger on bass, John Reischman on mandolin, Josh Rabie on fiddle, and Raham and Jenkins joining them on drums and pedal steel. After album opener “Sweet Old Religion”, the record then takes the listener to an evocative treatise on the power of each of us to create change in a “Stitch In Time”. While Pharis sings of her desire to adore her old wanderer no matter where he wanders in “Salt And Powder”, Jason lauds the wanderer’s life in “Leave The Garden Gate Open”. Both sing of love inspired by their children in “Babes, Mothers And Fathers” and “Come On Love”, while “The Salesman” describes their hope for a future less cluttered by consumerism and more enrobed by acceptance for one’s fellow humans. “You Are A Shining Light” is inspired by the gifts given by a dying member of their music community (who died before they were able to play him this song). And in homage to their love for early American roots music, “Old World Style” sings of the lonely cowboy on the prairie, “Age Old Dream” of the young rural worker unsure of where his future lies, and “You Are The Best Thing” is a hopeful thought from one young lover to another. Musically, Sweet Old Religion carries a wide spread of influences, spanning from early 1920s jazz, blues, and country to 1960s songwriters like Levon Helm and The Band. The album also features songs inspired by their deep love of old music and rural life, with archaic banjo tunings where Jason moves between several of his own handmade instruments to bring out unique tones for each song.